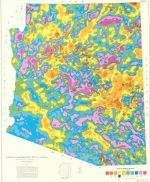 Legislation in the Arizona Senate would make changes to post-closure procedures for facilities with aquifer protection permits. Among other provisions, SB1274 would change the existing statute from actions that "Verify that the closure design has eliminated discharge to the extent intended," to "Verify that the approved closure design is routinely inspected and maintained." 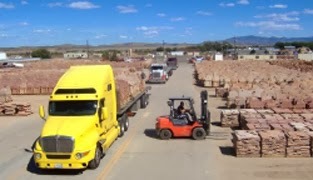 Our colleagues at the Utah Geological Survey blogged about it earlier in the day when there had been about two dozen earthquakes. 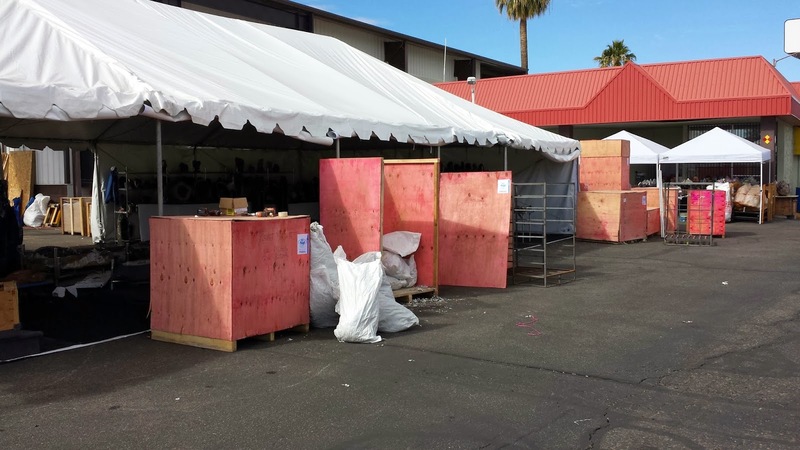 The Tucson Gem, Mineral, and Fossil Showcase got underway this week at dozens of locations across the city, in advance of the Tucson Gem & Mineral Show, that will be held February 13-16 in the convention center. The latter is organized by the Tucson Gem and Mineral Society. The theme for the big show this year is "60 Years of Diamond, Gems, Silver, and Gold." The "fervently debated" age of Grand Canyon is a hot topic again today with advance online publication in Nature Geoscience of a paper by Karl Karstrom and colleagues, titled "Formation of the Grand Canyon 5 to 6 million years ago through integration of older palaeocanyons." The authors say that "although parts of the canyon are old, we conclude that the integration of the Colorado River through older palaeocanyons carved the Grand Canyon, beginning 5–6 million years ago." Join Arizona Geological Survey geologist Steve Rauzi and a team of Conoco geoscientists as they raft through Grand Canyon examining the Precambrian Chuar Group. The trip, which occurred in 1996, begins at Lees Ferry and ends at river-mile 225. 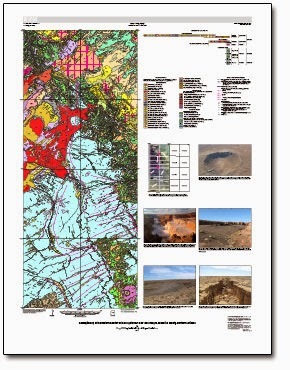 The expedition resulted in two publications by the Arizona Geological Survey: OFR-98-17 -- Geologic Description, Sampling, Petroleum Potential, and Depositional Environment of the Chuar Group, Grand Canyon, Arizona, 1998, 92 p., 2 sheets and OFR-02-1 -- Geologic Description, Sampling, and Petroleum Source Rock Potential of the Awatubi and Walcott Members, Kwagunt Formation, Chuar Group of the Sixtymile Canyon Section, Grand Canyon, Arizona, 2002, 84 p., 1 sheet. 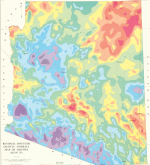 The reports are available for download at the Arizona Geological Survey Document Repository at http://repository.azgs.az.gov. Whereas, the Ash Fork Historical Society and the Ash Fork Development Association have both voted on and approved of the designation of Ash Fork as the "Flagstone Capital." 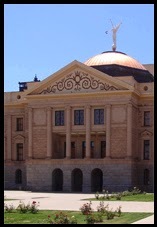 That the Members of the House of Representatives support the designation of Ash Fork, Arizona as the "Flagstone Capital." 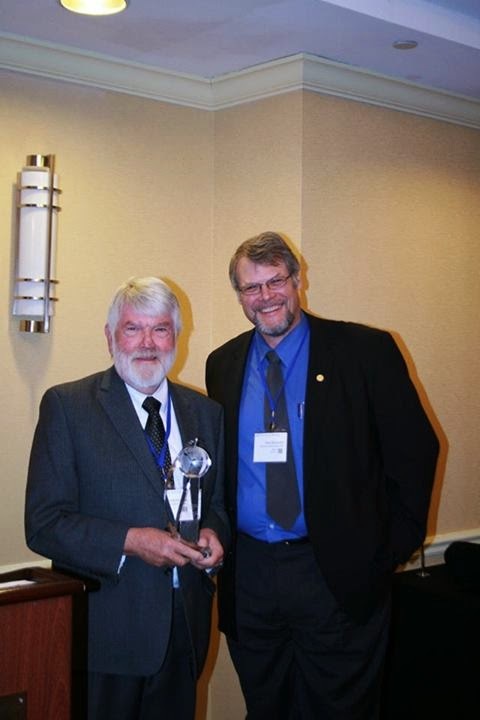 The award is given annually "to recognize outstanding service to the Earth science information community. This award honors individuals who have demonstrated leadership, dedication and a collaborative spirit in advancing the field of Earth Science information." It is named after prominent data manager, Martha Maiden, NASA Program Executive for Earth Data Systems, who coincidentally announced her retirement at the end of February during the meeting. Chuck Hutchinson is a geographer with specializations in remote sensing and arid lands. In particular, he has worked on inventory and monitoring techniques for agriculture and natural resources using satellite and aerial video systems.